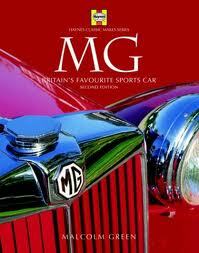 The second edition of this highly respected history brings the evocative story of MG right up to date. This large-format, well-illustrated book charts all MGs from 1923 to the present-day TF sports car and 'hot' saloons, concentrating along the way on models with particularly strong interest to classic car enthusiasts, such as the T-types, the MGA and the MGB - the most popular British sports car ever. The authoritative text is supported with buying tips, personal impressions of individual models, and data boxes on topics as varied as the EX257 and Le Mans TC, the XPowerSV and the ZR, ZS and ZT in competition.